Are you sometimes challenged by how to apply ethical principles in your own practice? 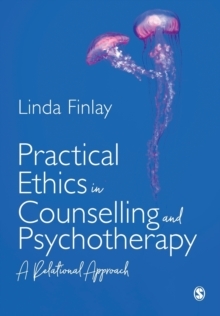 Looking to understand what ethical practice can look like from different theoretical standpoints?Linda Finlay takes you on an exploration of ethical therapeutic practice. She highlights how therapeutic decisions depend on the social and relational context and vary according to your theoretical lens. She provides you with guidance on how to engage in therapy relationally while remaining professional, ethical and evidence-based. Split over three parts this book takes you through:- The Context of Relational Ethics - introducing you to the foundational ideas, and considering how professional codes are applied within therapy - Relational Ethics within the Therapeutic Relationship - exploring the complex judgements demanded by the therapeutic process, and looking at how therapy needs to be situation specific- Relational Ethics in Practice - five extended, fictional case studies demonstrate relational ethics in practice, and discuss the issues raised.